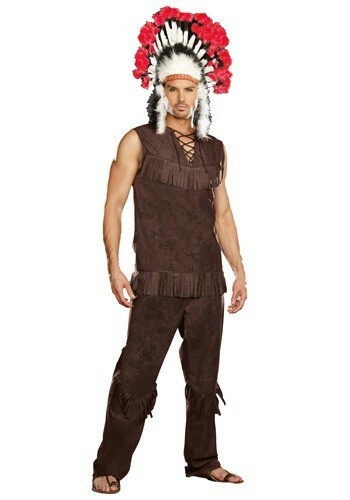 Accept the highest rank in your tribe with this Chief Long Arrow Indian costume. You'll command the respect of the rest of the warriors in this detailed Native American costume. Turn yourself into a leader of a tribe when you wear this Chief Long Arrow costume. Once you slip this on you'll feel like you were back in time when the west was wild and frontier was vast. 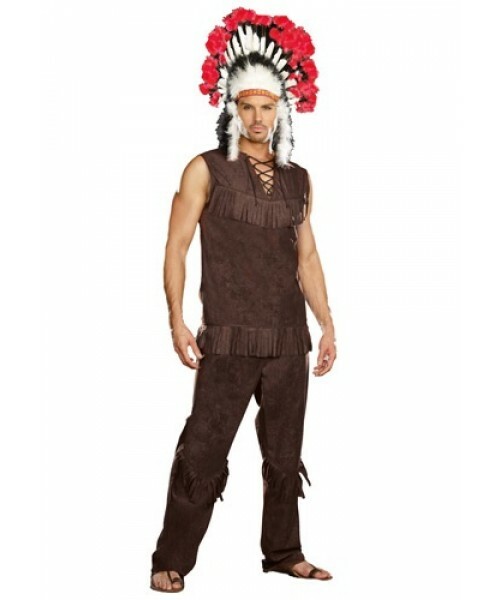 Pair this costume up with some of our great accessories to complete your chief look!